Australia, New Zealand, and surrounding Pacific Island Nations were among the first countries to ring in 2019 with fireworks and other celebrations. 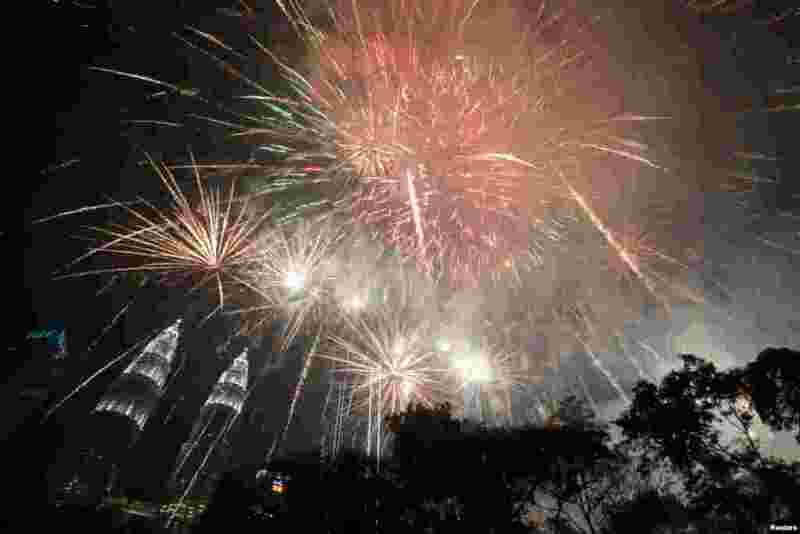 5 Fireworks explode near Petronas Twin Towers during New Year celebrations in Kuala Lumpur, Malaysia, Jan. 1, 2019. 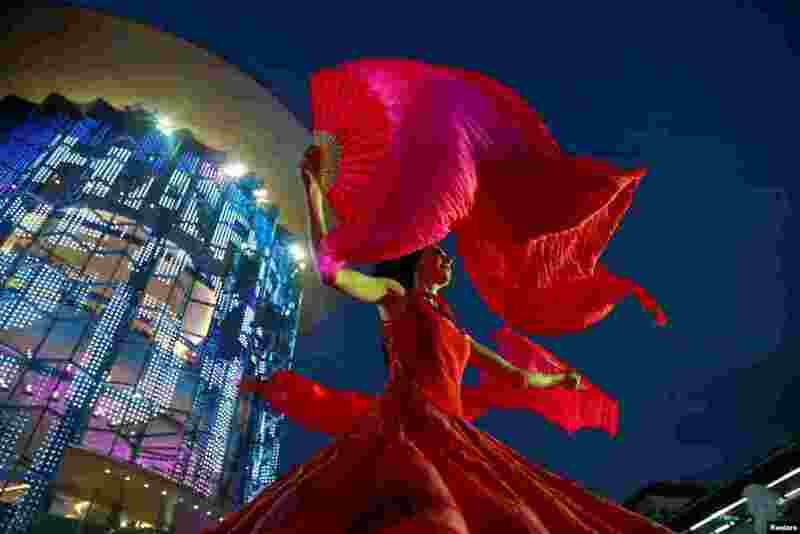 6 An artist performs at a shopping center during the New Year festival in Bangkok, Thailand, Dec. 31, 2018. 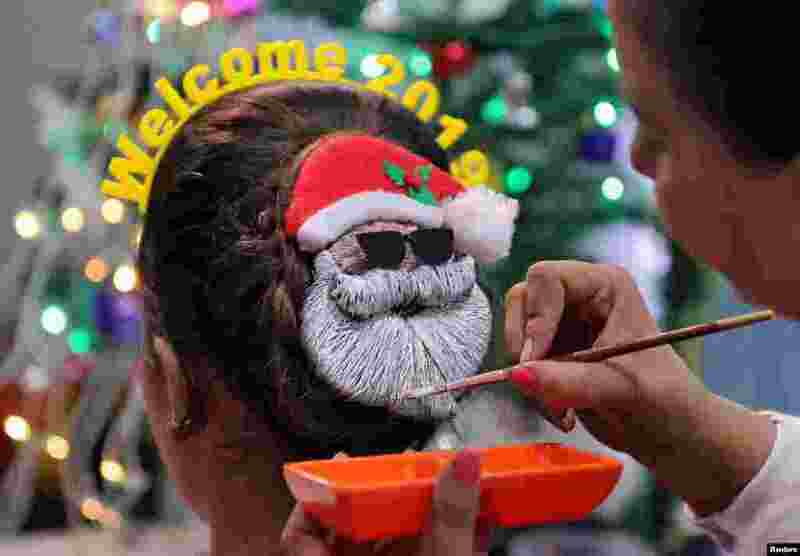 7 A make-up artist creates a Santa Claus shape in a woman's hair, during New Year's preparations in Ahmedabad, India, Dec. 31, 2018. 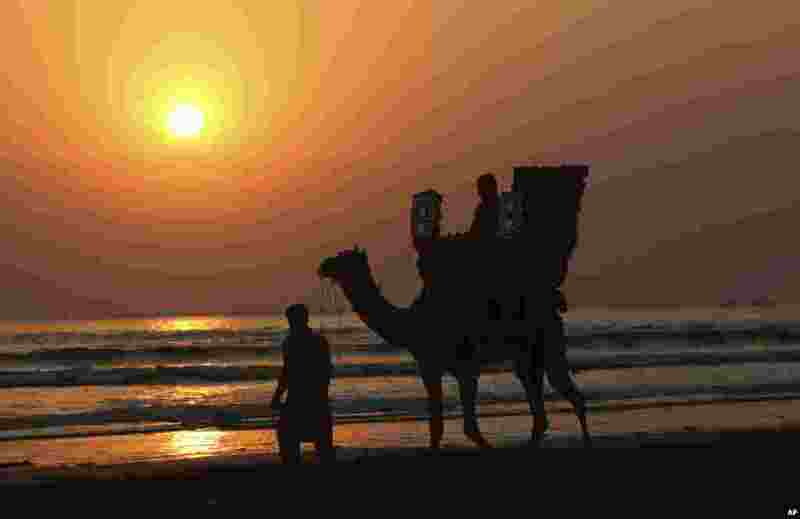 8 A Pakistani person rides a camel on a beach during the last sunset of 2018, in Karachi, Dec. 31, 2018.